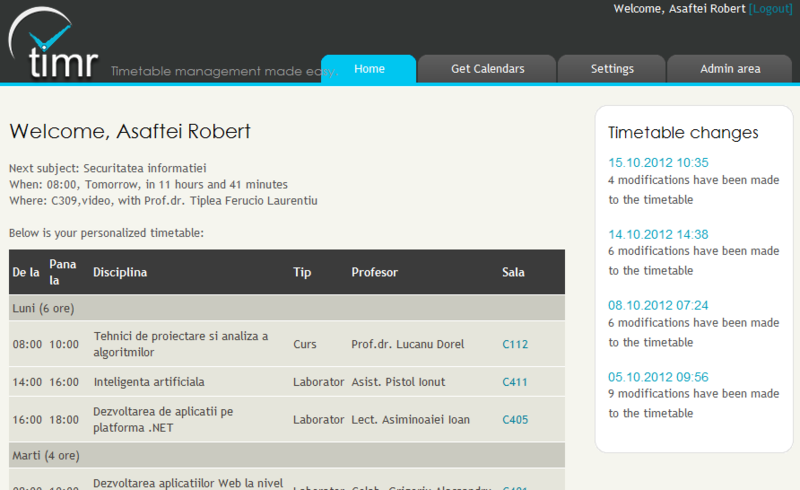 Timr is a website that helps users customize their timetable for the Faculty of Computer Science, Iasi. You can choose what courses to follow, whether they belong to your year of study or not. Also the application will allow you to add new subjects even if they don't belong in the default timetable of your faculty. Intuitive interface to add the subjects you are interested in. 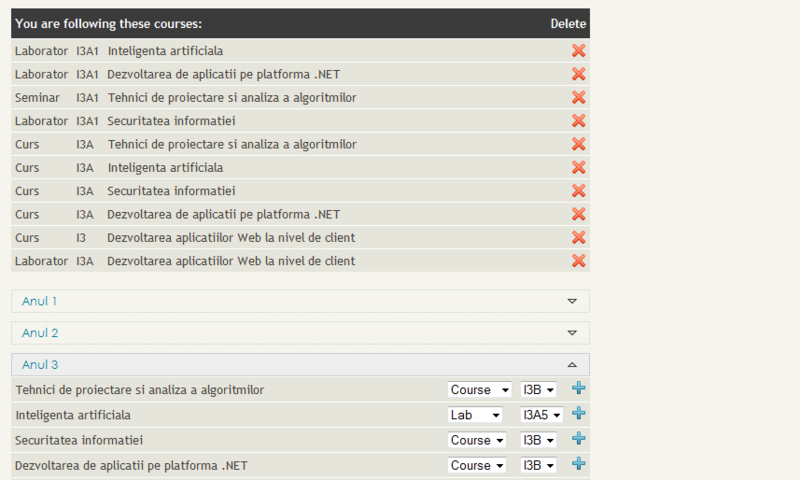 Ability to generate the timetable's followed courses automatically based on the selected year and group. Android app and Windows Sidebar plug-in. Technologies used: HTML 5, CSS 3, PHP 5.5, Ajax, jQuery. 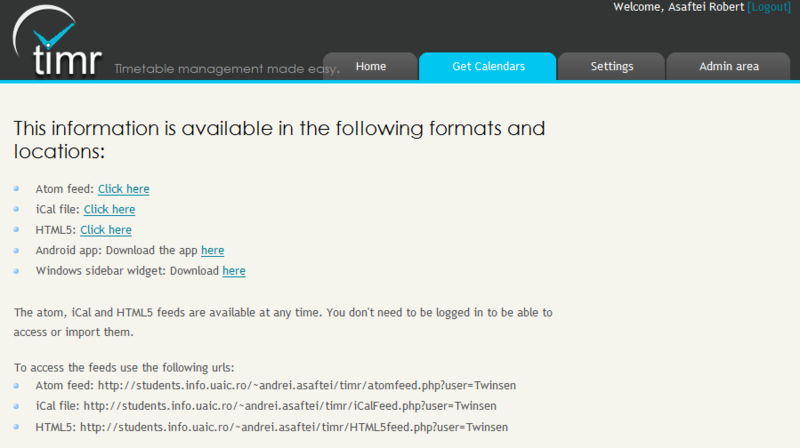 Unfortunately the project's timetable database is no loger up to date, making the project unusable. Timr was developed in 2012 as a project for Web Technology course by a team of Computer Science students.